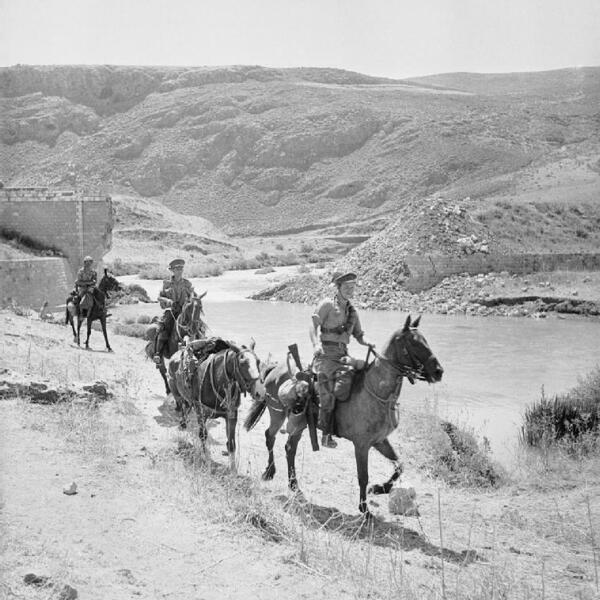 English: The Cheshire Yeomanry patrolling on horseback at Marjuyan in Syria, 16 June 1941. The Cheshire Yeomanry patrolling on horseback at Marjuyan, Syria. At the outbreak of war, the British Army had only eight mounted units. Its cavalry horses last saw action in the Middle East during 1940-1942 where they were used for patrol and reconnaissance work.